Best known for “Iggady” remix, her collaboration with Trippie Red on “Woah Woah Woah” and hit single “Banana Klip,” Bali Baby is the hottest female artist to come out of Atlanta. Before fame, she grew up freestyling and singing for fun, but decided to record herself for the first time in May of 2016. That same year, she dropped her first EP entitled Bali’s Play. In addition to projects like Bubbles Bali and Brazy Bali, she hosts a monthly news segment called Gangin’ With Gang, which showcases behind-the-scenes footage of her music and lifestyle. As a result, Bali has been getting a lot of attention from dozens of news outlets and shows like Everyday Struggle on Complex. 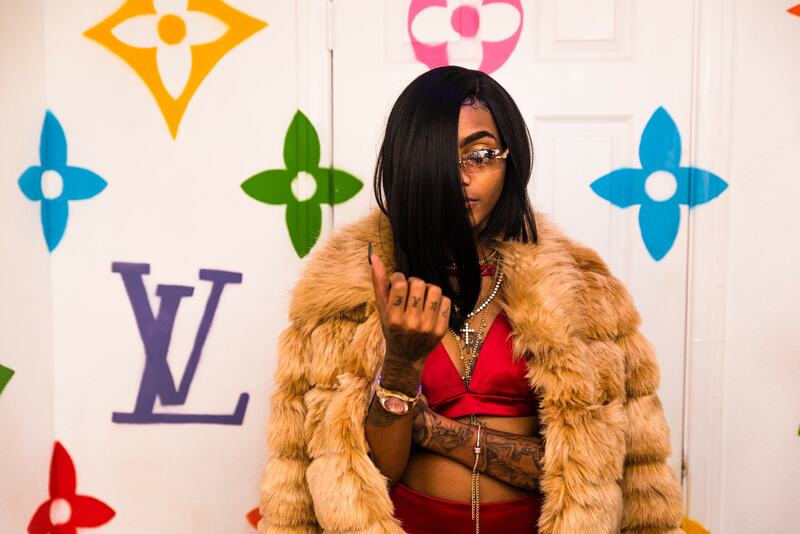 In December of 2017, Bali released the visuals for “WWW,” a record that showcases her keen lyrical skills above all else. In May of 2018, she is releasing Baylor Sift, which is a crossover project between Rap, Rock and Pop. In 2018, Bali is ready to prove to the world why she’s the new Avril Lavigne. Keep up with her along with her hundreds of thousands of fans & listeners on Instagram, Twitter, Soundcloud, Spotify and Apple Music!